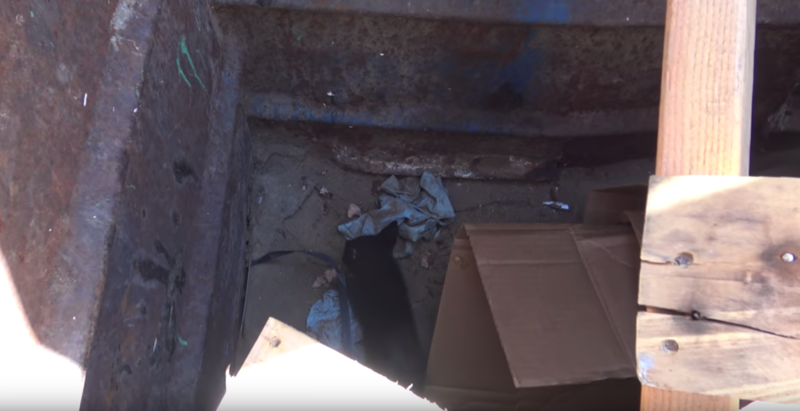 Hope For Paws received a call about three kittens who were thrown in a dumpster. Thankfully, someone heard them crying and knew exactly whom to call. The contents of this dumpster were scheduled to be crushed the very next morning, so this all happened just in the nick of time. 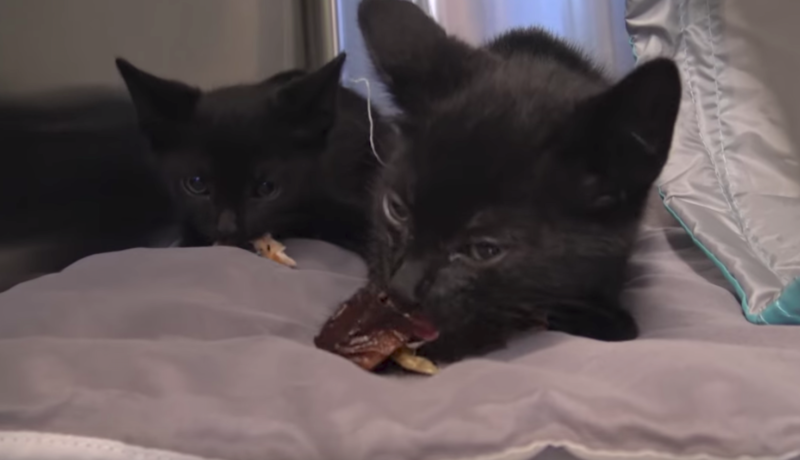 Lisa and JoAnn set out to rescue the black kitties before the facility closed. They were able to capture the one without much trouble, but the last two kittens were semi-feral which made rescuing them more difficult. With the help of a crate, rescuers were able to bring all three to safety! Sardine, Salmon, and Squid are looking for their forever homes and have bright futures ahead. And never will they be thrown out like trash ever again! If you’d like to adopt any of them, you can contact Room8Cats.org.